Daniel Allison was caught off-guard. His patient, lying in a hospital bed and complaining of searing pain in her extremities and right hip, refused to cooperate with his treatment plan. Thinking fast, Allison remembered that the patient liked to play Bingo, and that there were game cards in the clinic. So he played with her, buying enough time to formulate and offer up a Plan B. “I wasn’t as prepared as I thought I was,” says Allison, a fourth-term Master of Occupational Therapy student. “It was definitely a wake-up call.” Then the patient stood up, showing no pain at all. This wasn’t a miracle—it was part of a simulation taking place in the new Center for Innovative Clinical Practice on the San Marcos, California, campus. 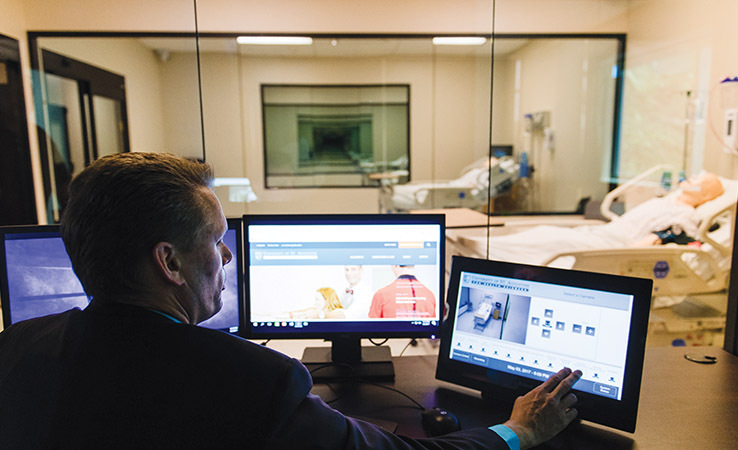 The facility, which opened in May, spans nearly 7,000 square feet and offers an immersive learning environment with state-of-the-art medical tools and resources. The center includes a 16-bed patient ward, a dedicated area for OT education, two patient assessment rooms, a complex simulation room, a 25-seat observation and debriefing room, and an Activities of Daily Living lab with a kitchen, bedroom, dining room, closet, bathroom, and living room. Since occupational and physical therapy students will be working together as graduates, they will be learning together in the center during their classes. Simulations are particularly well suited to practicing interprofessional collaboration because they can go beyond skill-building to focus on communication between healthcare providers as well as interactions with patients. Though Allison spent several days preparing for the simulation, no amount of homework or textbook studying could ready him for the quick thinking he needed to do on the spot. For another simulation, Allison took on the part of a patient who had suffered a stroke and could not move the left side of his body. Another benefit of the simulations at the center, according to students and faculty, is the debriefing process. Though debriefing is not a new concept in the medical field, it is novel for OT and PT, Johnson says. During a typical debriefing, students gather around a table and view a recording of the simulation, then discuss what went well and what could be improved. The ability to record scenarios using Simulation IQ from Education Management Solutions opens up tremendous opportunities for students and faculty. The innovative audiovisual technology being installed will allow faculty to record simulations that they can then post online for Flex or residential students to watch asynchronously. 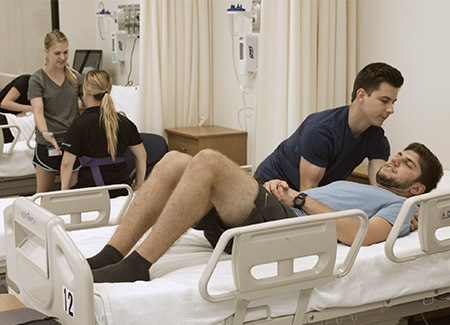 Faculty can even mark sections of the video so that students focus on a specific skill or communication technique being used with a mock patient. Because the recordings will be housed on the web, students from other campuses or even other schools in the Laureate International Universities network could benefit from a scenario created by a faculty member with specific expertise. The center has been so popular in California that the university is opening new centers for the spring term on the St. Augustine and Austin campuses. A fourth center will open as part of the new permanent Miami campus in summer. Among the innovative ideas in the works is a community functions room that could include a mock ATM or bank teller window, as well as a grocery store aisle, to help occupational therapy students prepare people for daily activities associated with independent living. The Austin campus is leading the way with a movement science lab that takes technology used to train athletes, such as treadmills and pressure plates, and applies them to rehabilitation, helping clinicians better observe how patients are moving and how it affects them physically. The campuses are also working on simulating an outpatient clinic with treatment tables, weights, parallel bars, and other equipment to expose students to scenarios in a setting they are likely to encounter during clinical education and as graduates. 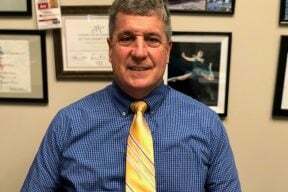 The Center for Innovative Clinical Practice has already inspired several faculty members to add to the scant knowledge on how simulations impact student learning in occupational and physical therapy. Here a few of them share their early research ideas. ABSTRACT: Preparing students for successful clinical experiences is important to their success in the program and as graduates. By researching how exposure to simulation labs affects physical therapy student anxiety, motivation, and preparedness, we can help inform faculty members on how to best instruct and prepare these doctoral students to perform optimal patient care, both during their internships and after graduation. ABSTRACT: With a qualitative design, we can better understand the perceptions of faculty about what happens in their debriefing sessions and how debriefing sessions affect the learning experiences of occupational therapy and physical therapy students. Also, with an online training module for faculty development on debriefing students following their experiences in the center, faculty would be able to review the kinds of debriefing processes and select the one most appropriate for their simulation. 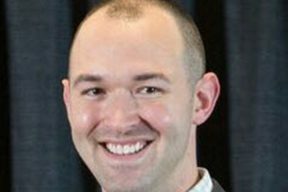 ABSTRACT: We can investigate how simulation and technology can enhance interprofessional education among first-year OT and PT students by engaging them in immersive simulation scenarios and skills techniques. Students would self-reflect and evaluate interprofessional communication and collaboration among fellow classmates. The data would measure outcomes and increase opportunities for developing interprofessional roles and coordinating patient care.